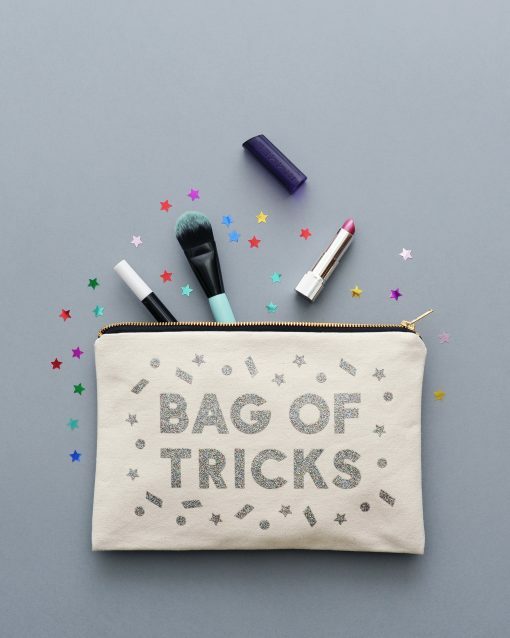 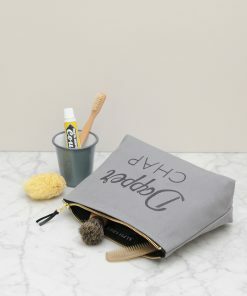 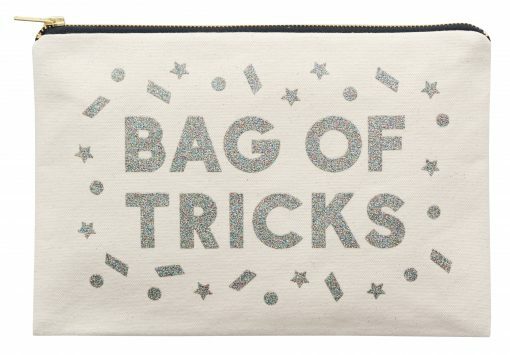 A unique and versatile bag for all necessary tricks! 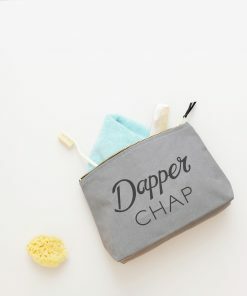 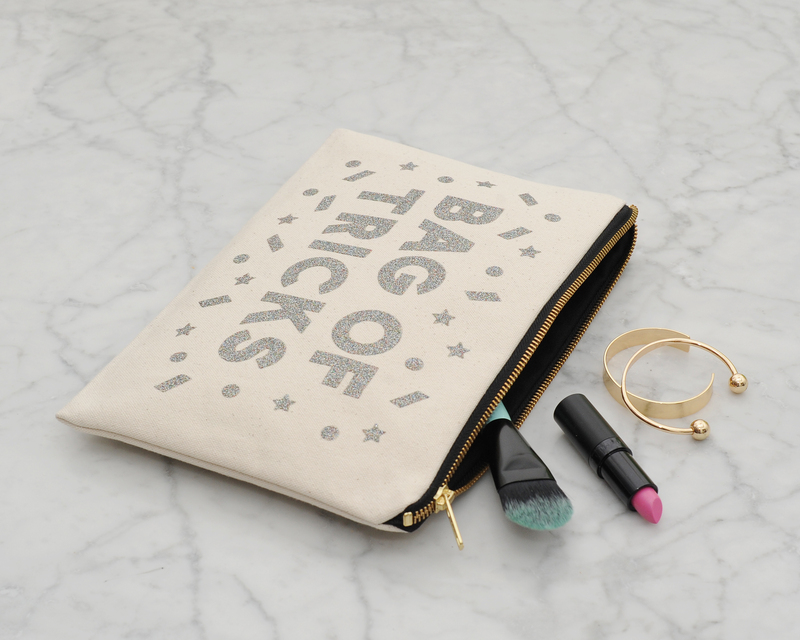 It is extremely useful as an everyday clutch or a travel bag essential! 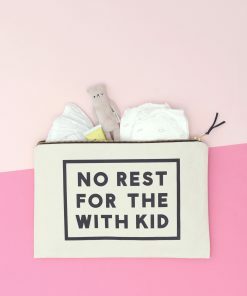 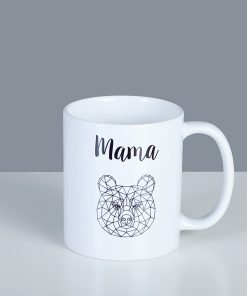 Fill it with important must haves like make-up, money, phone and more! 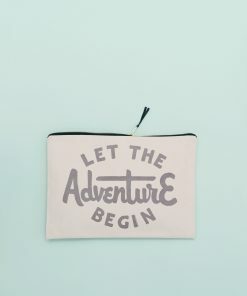 Printed in multi-coloured glitter on heavy natural canvas with a black cotton lining. Lovingly stitched and printed in the UK, complete with a heavy-duty gold colour zip.